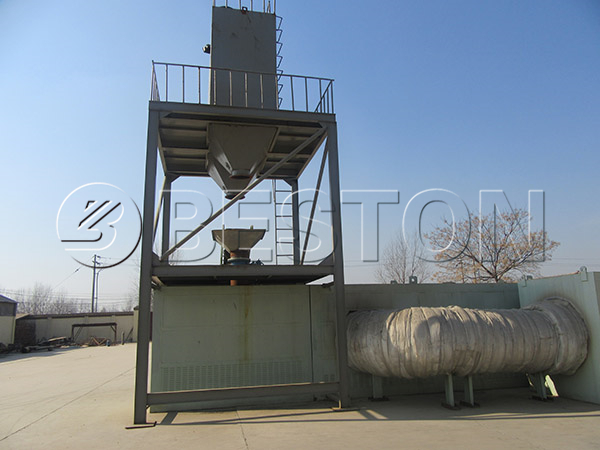 Beston waste plastic to oil plant can help you achieve the plastic to oil conversion and make profits from waste plastic. To satisfy the various demand of different customers, our products on the market are with different capacity and different operating methods. The followings are the details. The plant is suitable for where the labor cost is low, and the amount of waste plastic is not large. In addition, it has the special standard for the raw material, which is that the water content should be lower. The working efficiency of this machine is faster than the batch operating plant, but it costs less than the continuous pyrolysis plant. If the amount of waste plastic you want to dispose of is large, and it takes a lot to hire workers to operate the plant, then this kind machine would satisfy you, because of its high automation degree, fast working speed, and low labor cost. Although there are some differences among those plants, the following shared advantages make our products are popular in the market. 1. High oil yield rate. The oil yield rate varies because of the different materials, and for the PE, PP, PS, the oil yield rate is 50%-75%. The oil yield rate of ABS is 40%. 2. Security design. The whole plastic to oil conversion process is completed in a high-temperature condition, so the casing can protect the operator from being hurt by the high temperature. The hydroseal can remove sulfur from the gas, so the combustible gas will not harm the reactor. 3. Environmental protection. We equip our waste pyrolysis plants with flue gas exhausting system, hydroseal and dedusting system, all of which make sure there is no pollution during and after the working process. 4. Professional thermometer and pressure gauge can inspect the working temperature and pressure at any time, so the plant can work in a safe condition and will not cause any accidents. 5. Perfect sealing system. This machine is working in an oxygen-free condition. Once there is any oxygen in the pyrolysis reactor, it will cause serious consequences, so the sealing system is very important. The main parts of a waste plastic to oil plant include pyrolysis reactor, carbon black discharging system, draft fan, cooling tower, de-dusting system and so on. All the parts together can turn the plastic waste into oil energy. Here is the detailed plastic to oil conversion process. 1. Before the plastic waste is put into the pyrolysis reactor, you need to make sure that the water content is low enough. If necessary, we can provide you with the dryer to dry it. 2. 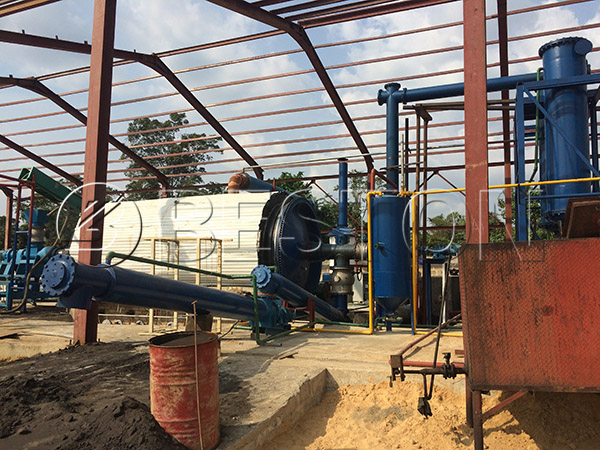 The pyrolysis reactor is heated by the wood fuel, LPG fuel and other fuel materials. When the temperature reaches 200 degrees, the small amount of oil gas will be produced. The 280 degrees -300 degrees is the top oil yield rate interval. The manifold can separate the heavy oil gas and the light oil gas. The heavy oil gas is liquefied and dropped down into the heavy oil tank. As for the light oil gas, it will rise up to the condenser, then it will be liquefied and be collected into the oil tank. 3. As for the combustible gas, it will be processed by the hydroseal. After the desulphurisation and dedusting process, it can be recycled to heat the reactor. After all the processes are done, you can get plastic pyrolysis oil, which can be used as fuel. 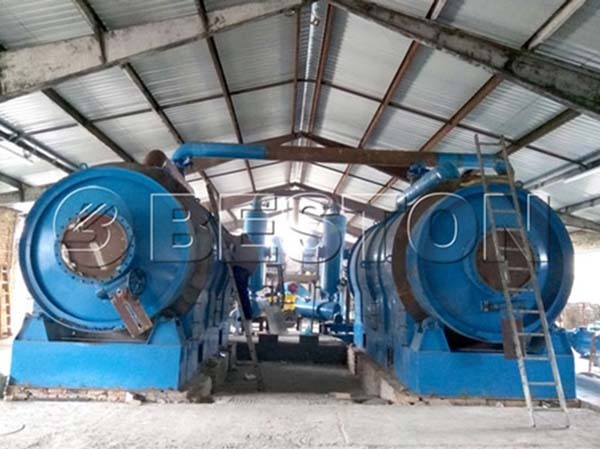 If you want to improve the quality of the plastic pyrolysis oil, you can use Beston waste plastic to diesel machine to refine the plastic oil. You can know more details from the video below. 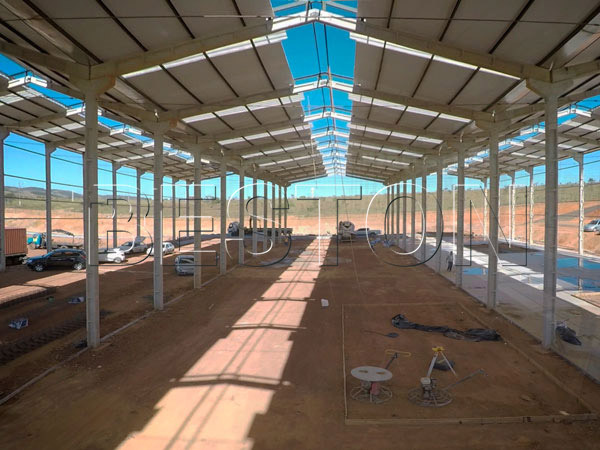 Why Choose Beston Plastic to Oil Plant? As you expected, it is profitable and eco-friendly to convert plastic into oil. That’s why the waste plastic to oil plant is getting popular among investors. 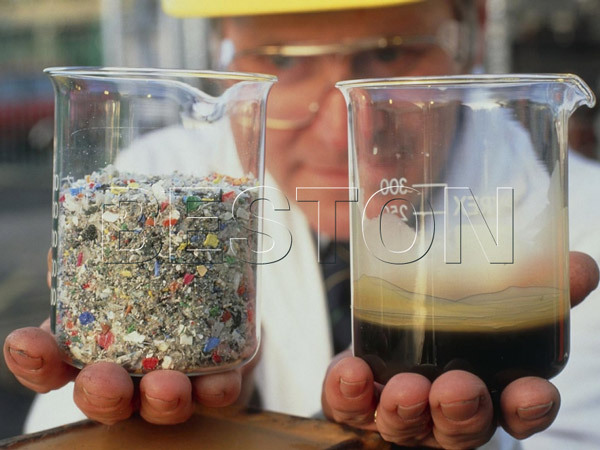 Beston has focused on the waste plastic recycling machinery for years. In these years, we have successfully installed our waste plastic to oil plant to many countries, such as South Africa, Korea, Hungry. Thanks to the great performance, Beston Group has gained a wide reputation around the world. With the rich experience and advanced technology, we promise to provide you with the most suitable waste plastic recycling business plan. Welcome to contact us!